The Question Paper will be of Objective Type multiple Choices Questions 10+2 standard. Question paper will comprise of 100 questions and each right answer will carry of 01 Mark and 1/4 (0.25) will deduction for each wrong answer. Written examination paper divided in to 04 sections that’s are.. Candidates who are going to attend the VDO Exam 2019 need to checkout the UPSSSC VDO Exam Pattern / Syllabus 2019 Details and can print this page. 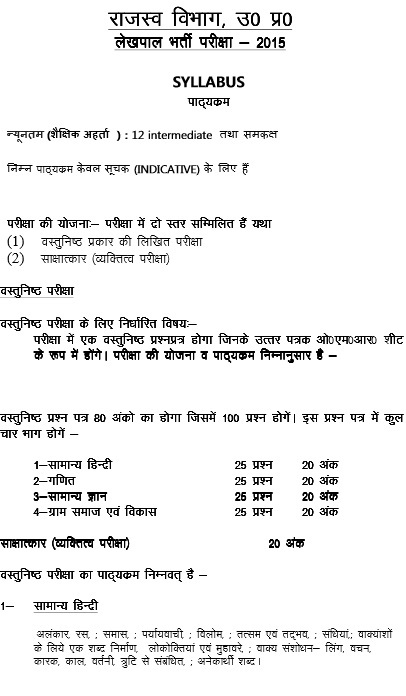 Written Examination syllabus details are below.